Valentine's Day is here, and that means it's time to start shopping for your SO. Rather than buying the usual chocolate and flowers for your wife/girlfriend or cologne for your husband/boyfriend, why not give a unique gift? Need ideas? Check out these five unique Valentine's Day gifts for your SO! Does your SO love drinking hot tea while curled up with a good book? Then you should get her an organic tea set this Valentine's Day. You can find tons of unique loose leaf tea sets online. 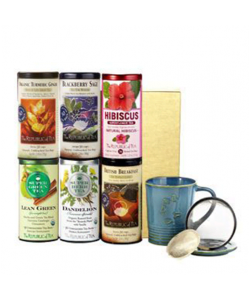 Check out Republic of Tea that offers interesting tea flavors. You can even get your SO a tea of the month subscription. Don't forget to buy her a mug and tea ball strainer to go with all that tea. Nothing says "I love you" like a romantic poem. Not a natural poet? Don't worry -- you can buy a love poem set online. 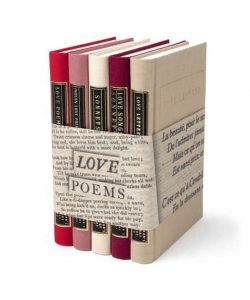 The set contains five anthologies of the greatest love poems of all time. 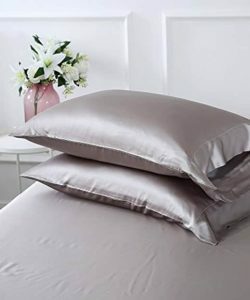 If your girl loves sleeping in luxury, then you should definitely get her a silk sheet set for Valentine's Day. Browse sites like Amazon and Overstock to find the best selection. She'll wake up every morning feeling like a million bucks. Does your SO love both chocolate and bath products? Why not combine the two by giving her a set of bath truffles? They're essentially bath bombs that are shaped like chocolate truffles. 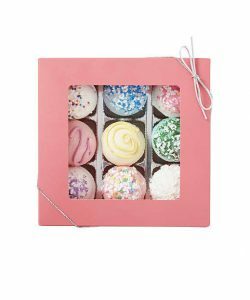 These bath bombs contain shea butter, which is ultra moisturizing, and come in a variety of different scents. Want to let your SO know how much you love and appreciate her every single day? 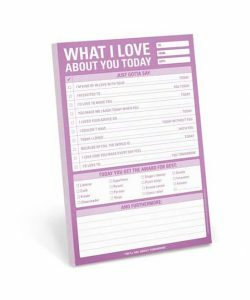 Then you should get her this unique and mega romantic "What I love about You Today" notepad. It lets you fill in romantic prompts and check off boxes as to why your SO is the best ever. Talk about super adorbs! It's true -- most men love to eat, but they hate to cook. 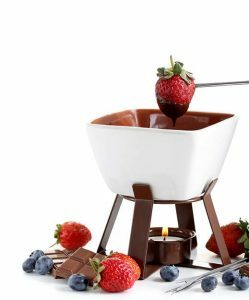 If your guy has a big sweet tooth, then get him this microwavable chocolate fondue set. You can melt three different types of chocolate in it, and it comes with skewers to dip your favorite fruits. Is your man an adventurous manly man? Then get him some gourmet jerky from Mountain America Jerky. 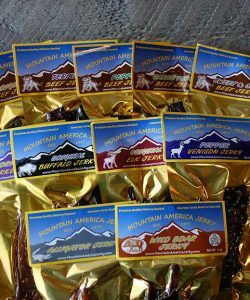 Unique jerky meats include alligator, buffalo, duck, elk, kangaroo, ostrich, trout, tuna, turkey, venison, and wild boar. Can't decide which kind of meat to get? Purchase him a sampler pack. Does your SO need to spruce up his wardrobe, which includes getting rid of his old, ratty wallet? Then surprise him with a new leather wallet for Valentine's Day. 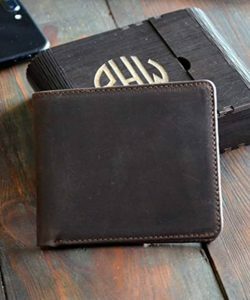 What's cool about this wallet is that you can personalize it with his initials, so it's ultra unique. What kind of guy doesn't love beer? Especially if it's craft beer! 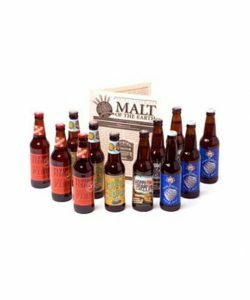 If your dude is a beer connoisseur, then you should buy him a subscription to The Microbrewed Beer of the Month Club. He'll get to try 12 hand-crafted beers every month from microbreweries all over the country including a wide variety of different styles. Does your SO travel often for work or just for fun? 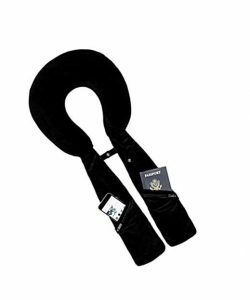 To make his flights more comfortable and enjoyable, you should get him this travel pillow. It's not any old travel pillow, though. Your guy can store his smartphone and passport in it. Plus it has a snap tab to hold his earphone cord in place. Don't get just any ordinary gift for your SO this Valentine's Day. Instead, spice it up! Remember to think outside the box, and don't be afraid to buy your SO a practical gift. Check out the above gift ideas to inspire you, and really surprise your sweetie. "40 Perfect Valentine's Day Gift Ideas for Your #1 Guy," Good Housekeeping, November 29, 2017. "17 Valentine's Day Gifts for Him That aren't Ridiculously Cheesy," Huffington Post, January 16, 2018. "11 Unique Valentine's Day Gifts for Your Sweetie," Today, February 10, 2017. "Creative Valentine's Day Gift Ideas for Her," Real Simple, n.d.